Here I will analyse a real life problem. My friend Chris at JH Dorrington Farm has kindly provided me with the data and allowed me to make this post. This will be several parts as I explore the data and try to fit various models. I’m going to stop milking this introduction and get right to it. 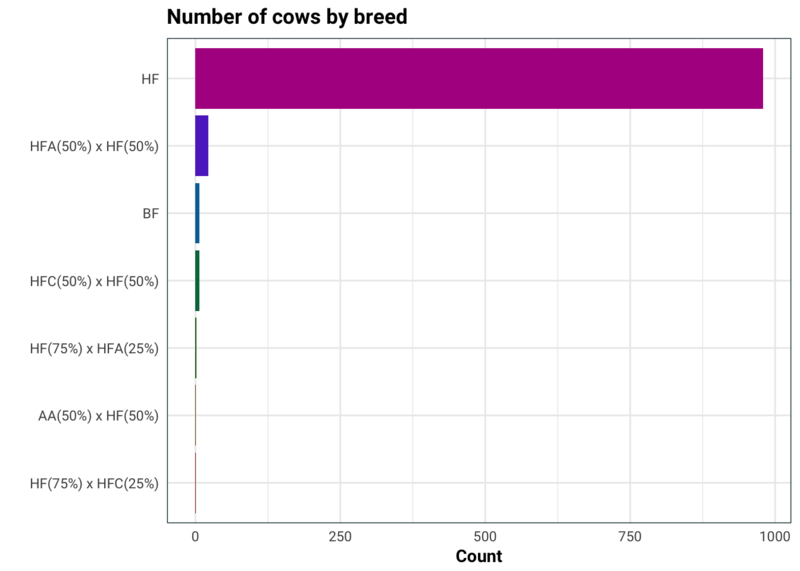 My friend Chris has been collecting various forms of data about his cows. Thing’s like, how much protein is in the milk, what is their age, how much lactose is in their milk, how long did each cow live etc. He would like to be able to predict the average calving interval using primarily the milk statistics. On to the actual data. I am going to make some changes to the column names so that they are a bit easier to reference. 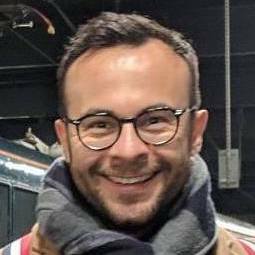 Before we get to missing data, let us first sort out some of the non-numeric columns that should be numeric and then split our data into train and test samples. 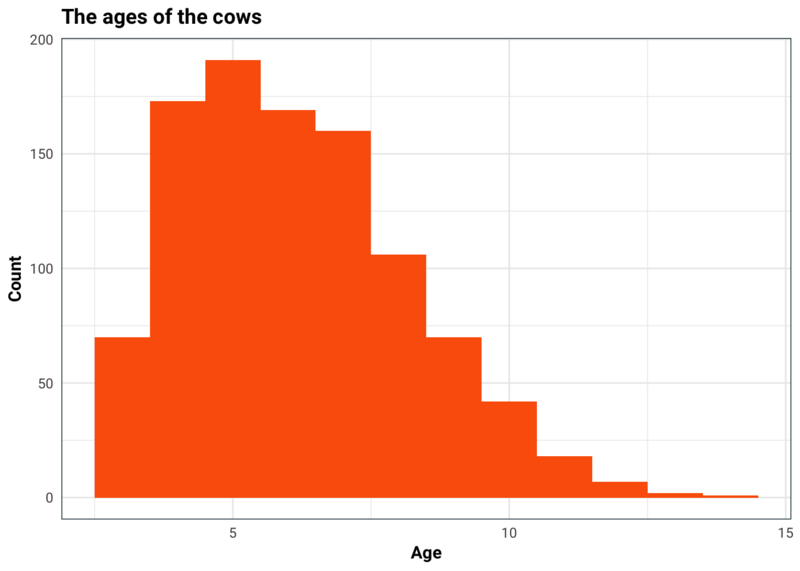 We are trying to predict the average calving interval, so let us first take a look at it’s distribution. 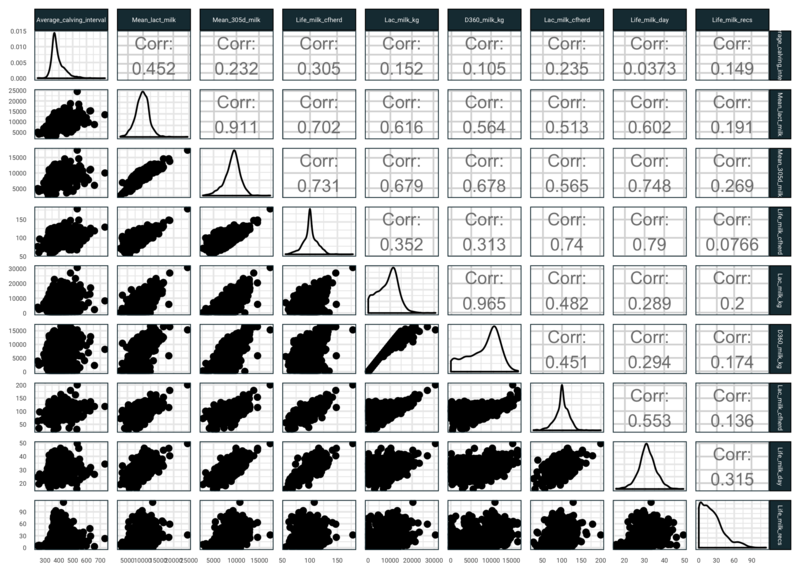 I am also concerned that age might be a factor in this, so I will split the histogram up. 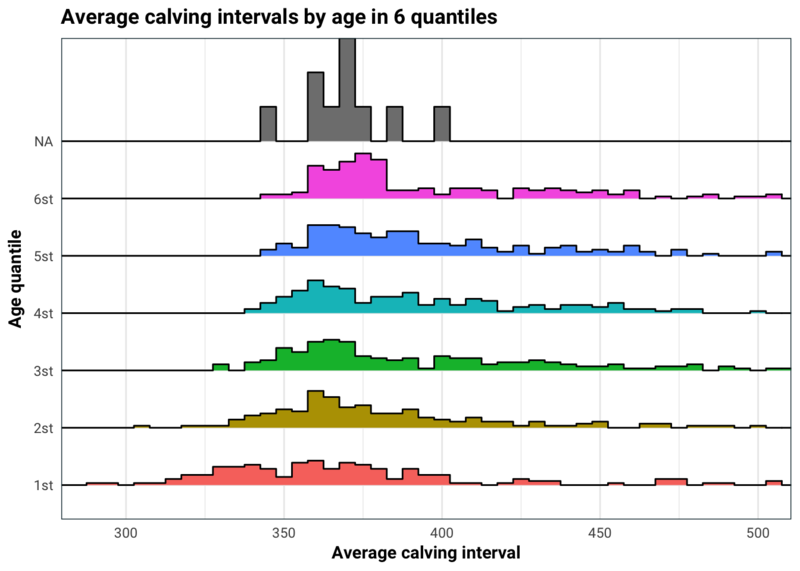 Age does have quite an impact on average calving interval. This is most likely because for older cows, the average calving interval aggregates both their most fertile younger years, and the less fertile older years. This is something we should keep in mind when we build our model. There are quite a few missing observations, which we will deal with later. For now our goal is to get an understanding of the predictors. Let us see some milk related predictors and how they relate to average calving interval (you might want to open the next image in a new tab). Next on the list is the breed of the cow. Seeing as the cows almost exclusively are of one breed, it would be best to not use this in our analysis. That’s it for now, stay tuned for the second part where we will be setting up some juicy models to analyse this baby, or should I say calf.